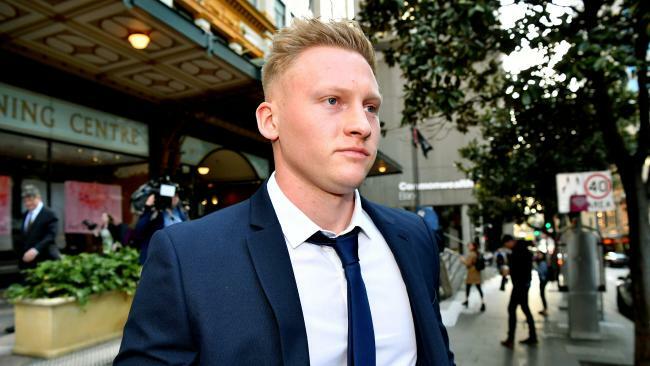 A YOUNG Englishman has been cleared of flooring Australia's former rugby sevens captain with a king-hit during an argument outside a Sydney kebab shop. 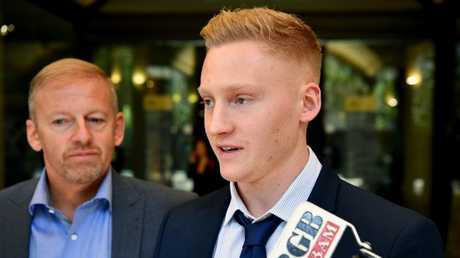 Sam Oliver claimed he acted in self-defence when he punched then skipper and Olympian James Stannard, 35, in Coogee in the early hours of March 30. After a two and a half day hearing with 16 witnesses, magistrate Richard Funston found Oliver not guilty on Wednesday of recklessly causing grievous bodily harm. The machine operator, in Australia on a working holiday visa until September 21, let out a sigh of relief and hugged his father, Chris, who began to cry by his side in the public gallery. The magistrate noted the "critical finding" was that Oliver's own facial injuries "must have occurred at the first incident" - when he was arguing with Stannard - and not when he fled and was tackled by Stannard's teammates into a car. He said he "couldn't ignore" a reference made in the statement of outgoing rugby sevens coach Andy Friend that he heard Stannard say 'my brother-in-law is a Pom and I don't get on that well with him' before the clash. 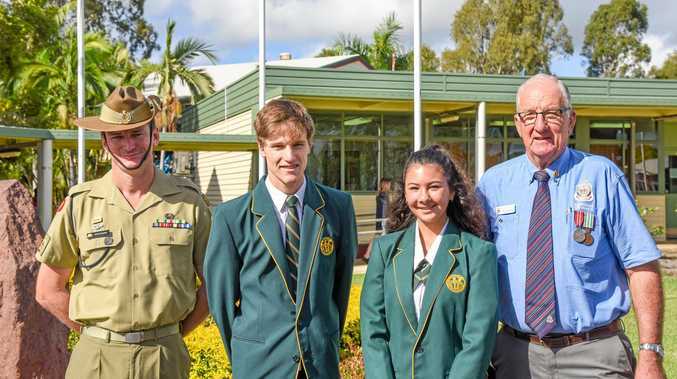 "This unfortunate incident had the potential to end with even more tragic circumstances," Mr Funston said. 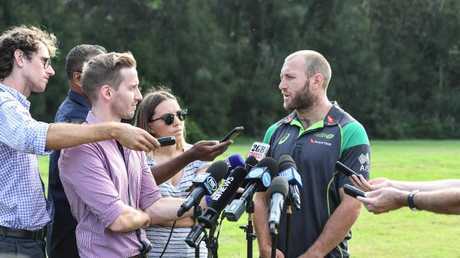 James Stannard addresses the media about the future of his playing career. CCTV footage shows the pair separately leaving Coogee Bay Hotel with friends after security staff evicted patrons at 3am. Oliver testified Stannard had approached him and said "Here's a Pommy c--- before throwing the first blow to Oliver's left eye. Oliver said he retaliated, felling Stannard and leaving him with head injuries - including a fractured skull - which forced the Aussie skipper's omission from the 2018 Commonwealth Games and his retirement. The court heard the ex-skipper doesn't remember the incident and still suffers vertigo. Outside court, Stannard said he was "very disappointed" with the final decision.